On October 4, 2009, we depart for a two-week RV tour of the Four Corners. Our first stop will be Quartzsite, Arizona. After business in Phoenix, Arizona the following day, we will take one night in Black Canyon City, Arizona. From there, we go north via Interstate I-17, through Flagstaff, and then on to Sunset Campground at Navajo National Monument, Arizona. There we shall partake of the best free camping in the Four Corners. 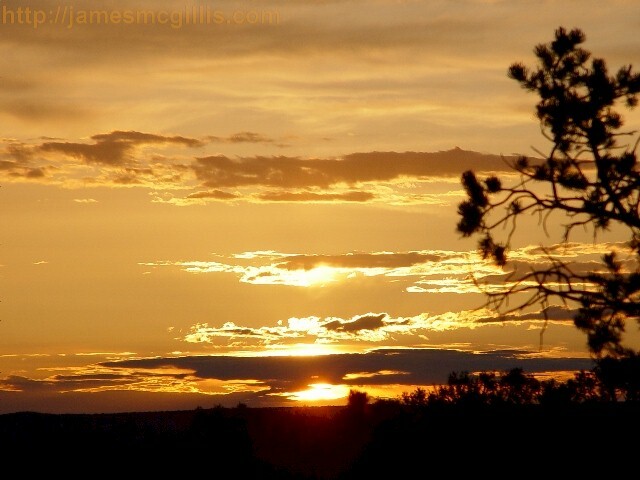 We hope to arrive at the campground early enough to view one of its universally famous sunsets. 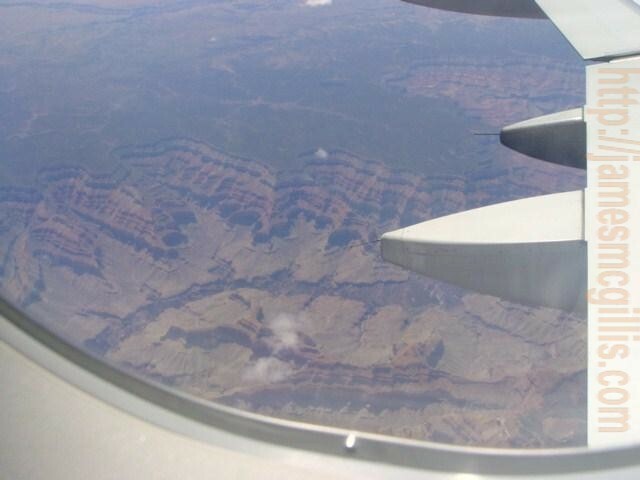 We arrive in Moab, Utah on October 7, departing there on October 11, 2009. With friends old and new, we shall experience Moab and its redrock neighborhoods. After covering the exciting conclusion of the “24 Hours of Moab” off-road bicycle race, we will head south and west, back toward LA. The following two nights we'll be at the North Rim of the Grand Canyon. With “The National Parks” film showing on PBS this past week, we cannot resist returning to the one place that President Theodore Roosevelt said, "Every American should see". Intellectually, we know that the Grand Canyon is just a big hole in the ground, but this will be our fifth pilgrimage to the mother of all National Parks. If she accepts us into her earthly folds, we shall be pleased. The North Rim of the Grand Canyon sits about as far away from a major city as you can get by paved road in the U.S. From the nearby towns of Page, Arizona and Kanab, Utah, very light pollution obscures the North Rim sky. 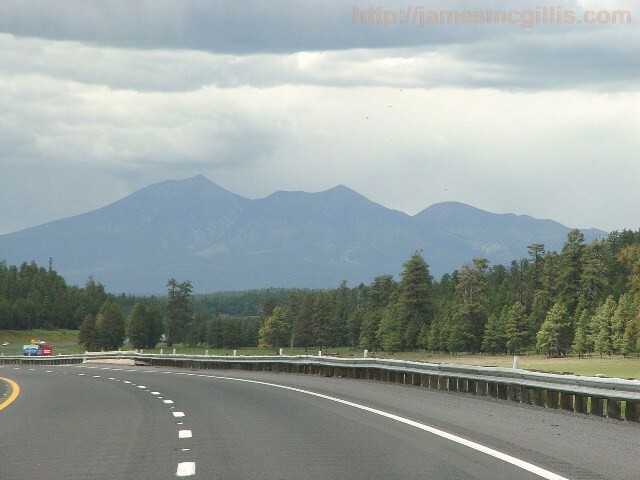 With a population of less than 100,000, Flagstaff, Arizona, over 75 miles away likewise has only minimal visual effect on the night sky. On nearly moonless nights we shall visit the fabled North Rim. Above, we shall see the Milky Way and a million stars. This time we have packed our four-inch reflector telescope. With its ability to concentrate light from distant objects, we hope to see deep into the night sky. After the first significant snowfall at the North Rim, Park Rangers close the area to new entrants, other than those with winter hiking or cross-country skiing permits. Any guests lucky enough to experience a full blanket of snow at the North Rim are encouraged to lleave as soon as the road is cleared for travel. The park and lodge staff stay to shut down their facilities, but until the following spring we leave the park to nature. With luck, we shall see no significant snowfall at the North Rim before our arrival. Even so, we must pack shorts and t-shirts for Phoenix and winter coats for both Navajo National Monument and an 8,000 foot elevation at the North Rim. In the 1960s, upon attaining our first view over and down the South Rim of the Grand Canyon, we said aloud, "That's it." Then, a few moments later we asked no one in particular except the God we had forsaken, “That's it?" Each time we return to the Grand Canyon, we recall those words and that God. 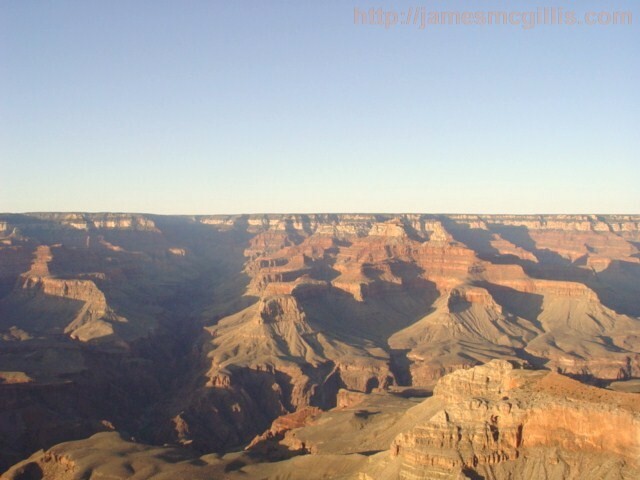 In anticipation of seeing the Grand Canyon again soon, we cannot imagine saying anything other than, “That’s it”. Then, a few moments later, we expect to hear, “That’s it?” Whose voice will that be? Ours or the Other? After two nights at the North Rim Campground, we will hook up and head for home. After descending the Kaibab Plateau, we will pick up Interstate 15 South, near St. George, Utah. Our final night on the road will be at Mesquite, Nevada, ninety miles north of Las Vegas. On our final day, we have 379 highway miles to cover, arriving home on the evening of October 17. 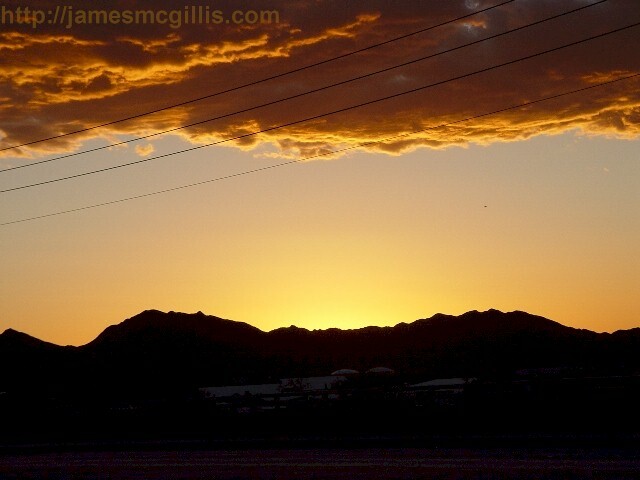 While we are on the road, please join us for updates, here at JamesMcGillis.com.